My 2.5 year old son, Dylan, enjoys learning about letters and what words you can make with them. He has a magnetic letter set that he plays with on a daily basis. Today he put the letter "H" on his magnetic board and I asked, "H is for...?" 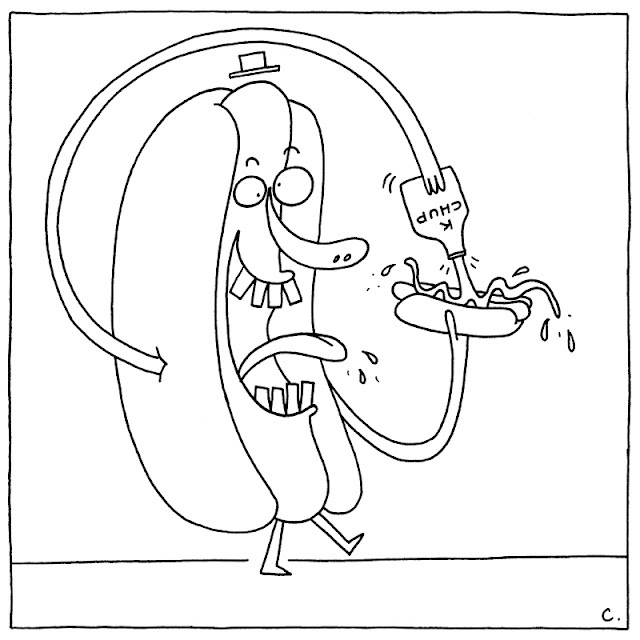 With an ear-to-ear grin on his face he replied, "H is for happy hot dog!" It was the cutest thing ever and we both had a good laugh. Dylan was quite proud of himself for coming up with this all on his own. 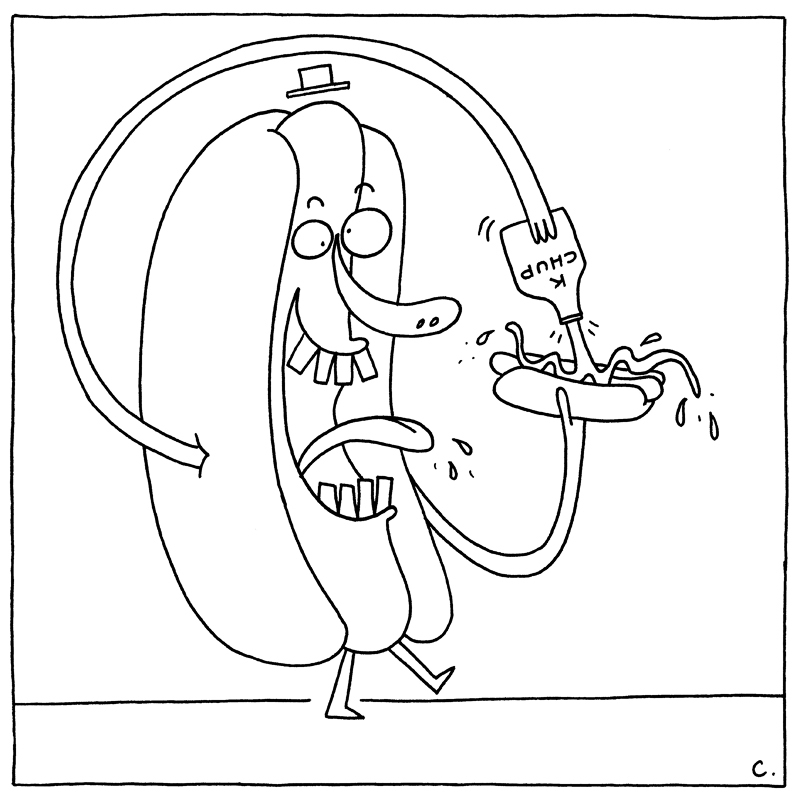 This inspired me to draw a happy hot dog...although for whatever reason I seem to have made him a cannibal.